Place in bowl or platter and garnish with slices of hard boiled eggs, tomatoes, peppers or olives! Boil meat and potatoes. 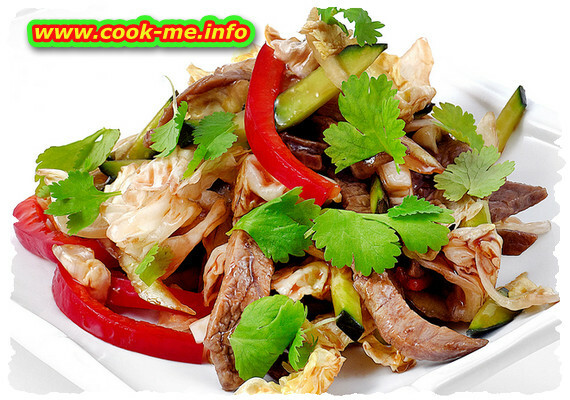 Cut meat into small cubes, cucumbers, onions and potatoes. Put everything in a bowl and mix, adding mayonnaise, tomato paste and salt to taste, pepper and a little sugar and mustard.